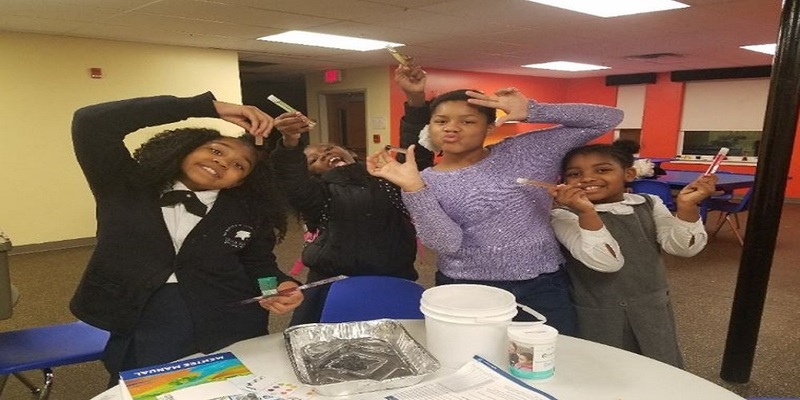 In fall of 2017, our students in the Boys and Girls Clubs of Philadelphia participated in the World of Water learning module through the Mystic Aquarium’s STEM mentoring program. This unique program pairs small groups of youth ages 6-10 with teen and adult mentors to engage in fun, hands-on activities about science, technology, engineering, and math (STEM). Through their participation in the World of Water program, our students had the opportunity to monitor water quality through the EarthEcho Water Challenge. The mentee and mentor groups absolutely adored these sessions, actually testing the water that they encounter daily, both at home and in nature. Through this process, they developed their passion for connecting what they learned with what they live. Using the various instruments, similar to those used in laboratories, gave the youth the opportunity to act as real scientists investigating important issues in their community. Early on in the module youth were able to create a working model to explain water flow and pollution that they could take home and replicate for their parents or guardians. This helped to solidify the concepts that were introduced throughout the entire curriculum. The groups culminated their learning experience with a watershed/community clean up as one of their enrichment activities. As part of this activity, many of the groups were able to see firsthand the kinds of trash that are polluting our water sources and compare results from site to site. The World of Water program module allowed for great adaptability and expansion between mentors and mentees to create additional learning opportunities and answer scientific questions as they continue to explore conservation and watershed issues within their community. Two of the groups that visited the Tacony Creek watershed were able to establish an ongoing relationship and completed several other activities there. They are also close enough to the Tacony Creek that they will continue to take part in the educational programming. One of the sites, picked up trash at both the creek and in their neighborhoods. To their surprise, they found that the creek appeared to have more trash that needed to be cleaned up than the neighborhood. They then began to brainstorm ideas for how they, as children, could change this trend. At the Northeast Frankford Club, they have taken conservation to the next level. They have installed a water rain barrel at their Club and have learned about maintaining storm drains. They have even labeled the storm drains to ensure that everyone knows where they are and the importance of keeping them clean. The youth at this particular site are so excited about their labeled storm drains that they are sure to point them out to anyone who visits. In conclusion, all groups have loved this module of the STEM mentoring program. They are ecstatic about the number of hands on activities that they could participate in and the projects they could take home to share with their families. Editor’s Note: EarthEcho International is proud to partner with the Mystic Aquarium to support their effort’s to train young water scientists and stewards through their STEM Mentoring Program. To learn more about the STEM Mentoring program, visit stemmentoringprogram.org. To access digital copies of the four World of Water books — with audio narrations available in English and Spanish — visit uniteforliteracy.com/mystic/water.